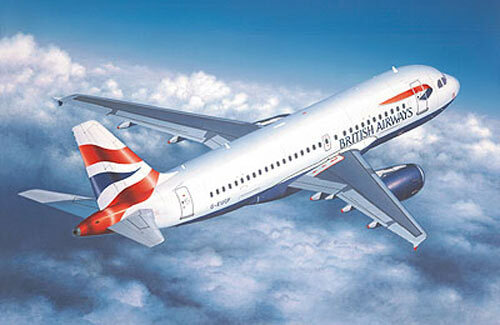 All Products > "04215 Revell 1/144 Airbus A 319"
The twin-jet-engined Airbus A 319 is a shortened version of the A 320, currently the most up-to-date passenger aircraft and one of the most successful in its class worldwide. The A 219 is used by many airlines on short to medium routes. The range with 124 passengers in the two class configuration is about 7,200 km, the longest in its class. British Airways currently has 33 A 319s, the first of which went into service in October 1999. German Wings has 6 in operation.